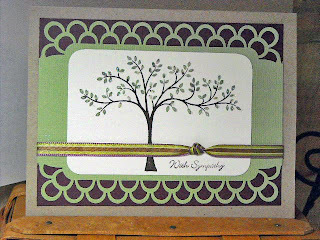 I don't usually see alot of sympathy cards on blogs, most of us want to see cute cards. Thought I would share this before I mailed it out. Hi Nicole, I just love this set too! Looking forward to seeing what you come up with!